Pasteurization or pasteurisation is a process in which certain packaged and non-packaged foods are treated with mild heat, usually less than 100 °C (212 °F), to eliminate pathogens and extend shelf life. The process is intended to sterilize foods by destroying or inactivating organisms that contribute to spoilage, including vegetative bacteria but not bacterial spores. Bernhard Lauritz Frederik Bang, was a Danish veterinarian. He discovered Brucella abortus in 1897, which came to be known as Bang's bacillus. Bang's bacillus was the cause of the contagious Bang's disease which can cause pregnant cattle to abort, and causes undulant fever in humans. Brucella canis is a Gram-negative proteobacterium in the family Brucellaceae that causes brucellosis in dogs and other canids. B. canis is rod-shaped or a coccus, and is oxidase, catalase, and urease positive. 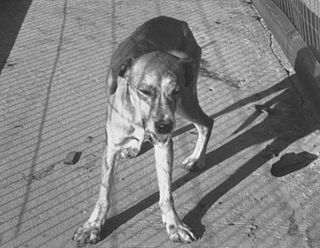 The species was firstly described in United States in 1966 where mass abortions of beagles were documented. The disease is characterized by epididymitis and orchitis in male dogs, endometritis, placentitis, and abortions in females, and often presents as infertility in both sexes. Other symptoms such as inflammation in the eyes and axial and appendicular skeleton; lymphadenopathy and splenomegaly, are less common. Humans can be also infected, but occurrences are rare. Brucellosis vaccine is a vaccine for cattle, sheep and goats used against brucellosis. ↑ "National Institutes of Health (NIH)". National Institutes of Health (NIH). Retrieved 2017-10-25. ↑ "CDC Works 24/7". Centers for Disease Control and Prevention. 2017-10-24. Retrieved 2017-10-25. ↑ Dorneles, EM; Sriranganathan, N; Lage, AP (8 July 2015). "Recent advances in Brucella abortus vaccines". Veterinary Research. 46: 76. doi:10.1186/s13567-015-0199-7. PMC 4495609 . PMID 26155935. ↑ Scott, PR; Penny, CD; Macrae, A, eds. (2011). "Brucellosis". Cattle Medicine. London: Manson Pub. p. 34. ISBN 978-1840766110. ↑ "microbewiki". 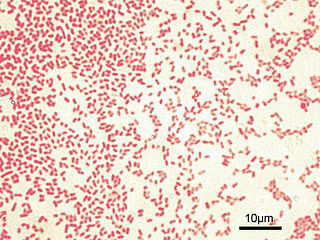 microbewiki.kenyon.edu. Retrieved 2017-10-25. ↑ Lott, Dale F. (2002). American bison: a natural history. Berkeley: University of California Press. p. 109. ISBN 978-0520233386.